Stodec Products are leading specialists in the design, manufacture and supply of commercial shelving, racking and small parts storage solutions for businesses across the UK. 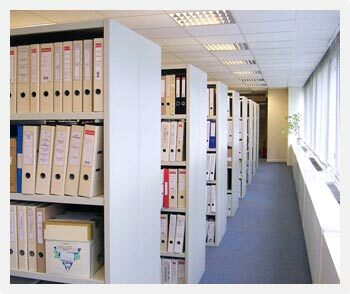 Having been a Dexion-accredited organisation for over 30 years, our partnership allows us to offer the highest quality products available, whether Dexion Impex shelving for industrial use or cantilever racking for long items, and we provide a number of small parts storage options, such as bins and cabinets. At Stodec we pride ourselves on the service we offer customers, which is why we provide surveys and repairs on all shelving and racking for businesses that must meet health and safety requirements. We can even perform alteration and relocation of storage units for companies on the move. Get in touch with Stodec Products today for more information. We will be pleased to visit your site to measure & advise on best shelving or racking systems to meet your budget & operational requirements. We can provide a detailed specification & quotation & produce layout drawings for larger installations. You can obtain costs & place orders for smaller quantities through our on line shop. We are happy to supply one bay or a thousand bays so use our design & installation service for any size storage equipment requirement.